Your exhaust emissions system is the only means of channelling away fumes from your vehicle so it is important from a safety point of view that the system is efficient. At Cross Motor Engineering, we provide a repair service which saves you the expense of replacing a system that may have a little life left. To keep your vehicle running cleanly and efficiently it makes sense to check your car exhaust for damage or failure annually or every 10,000 miles, whichever comes first. 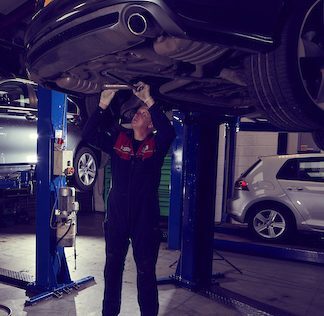 A comprehensive exhaust check is included in our industry standard service. If you think that you may have a problem with your exhaust then please bring it in and we would be happy to carry out a check for damage, corrosion and leaking joints. An exhaust that has failed can lead to fumes being drawn into the vehicle and as a result of prolonged exposure can make a vehicle occupant feel drowsy. To avoid this happening, Cross Motor Engineering will inspect and test your existing system and if necessary replace it. 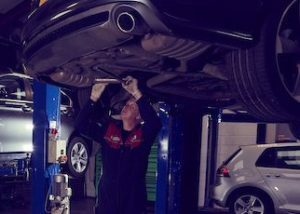 We can repair or replace exhausts in a wide range of cars and commercial vehicles. All exhaust systems supplied and fitted by Cross Motor Engineering carry a full manufacturer’s warranty.